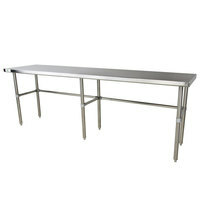 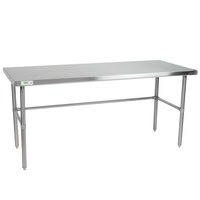 Stainless steel open base work tables are ideal for the commercial kitchen in your restaurant, cafeteria, dining hall, or concession stand. 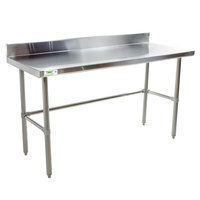 Since these tables don’t have any shelves or cabinets attached to them, employees can easily clean the floor underneath with a squeegee, mop, or broom. 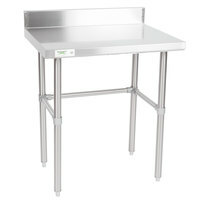 Plus, this open style creates storage space for large ingredient bins, so you can keep your most needed supplies within reach at all times. 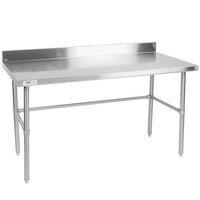 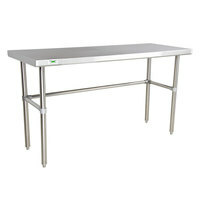 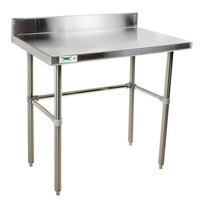 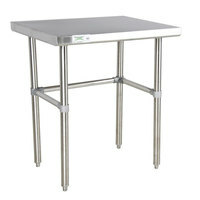 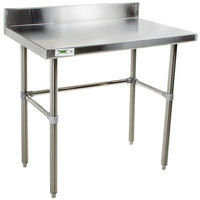 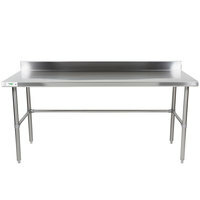 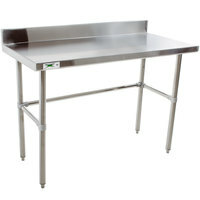 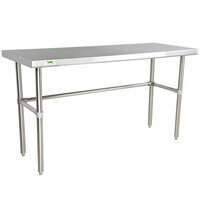 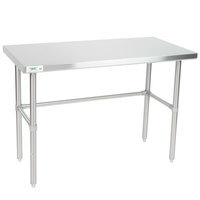 Each open base stainless steel table we carry features a sturdy construction and provides the perfect space for preparing salads, sandwiches, wraps, pizzas, and other foods. 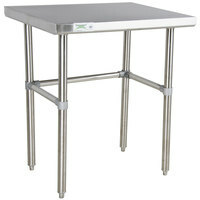 It’s also convenient that many of these products have adjustable feet, so you can level the table on uneven surfaces. 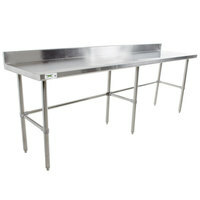 Additionally, you can find units with backsplashes that prevent food from staining the wall.